in medias res: Why fast? Last week in “From Fr. Tom,” we looked at the various spiritual disciplines Christians have employed in the past during Lent. This week, I want to narrow it down to talk about the one thing most people do during Lent: “giving something up for Lent.” Technically, giving something up for Lent (e.g. alcohol, coffee, sweets, Facebook, TV, etc.) is called "abstinence," and "fasting" is when we eat less food or none at all. But usually fasting and abstaining are lumped together (for good or for ill), and when most people talk about "fasting" they mean one or the other. But, before we answer the question “What are you giving up for Lent?" it is good to ask another question first: “Why are you giving up something? 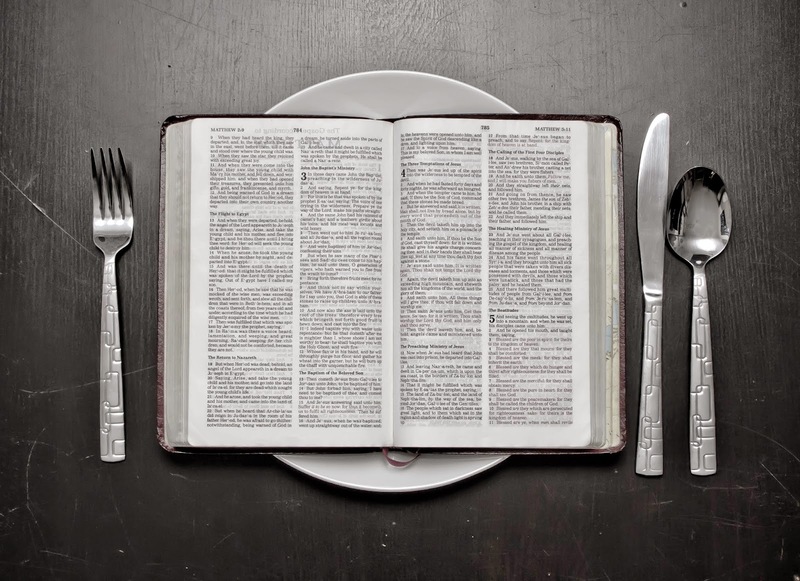 Why are you fasting at all?” Some might challenge us and say: “Isn’t all that fasting an Old Testament practice? Isn't fasting something we are meant to do in secret?" • The church in the New Testament fasted! "While they were worshiping the Lord and fasting, the Holy Spirit said, “Set apart for me Barnabas and Saul for the work to which I have called them.” Then after fasting and praying they laid their hands on them and sent them off." (Acts 13:2-3) "And when they had appointed elders for them in every church, with prayer and fasting they committed them to the Lord in whom they had believed." (Acts 14:23; see also 2 Cor 11:27). These fasts were corporate in nature (as is clear from the context). • Fasting and prayer can restore the loss of the "first love" for your Lord and result in a more intimate relationship with Christ. • Fasting is a biblical way to truly humble yourself in the sight of God (Psalm 35:13; Ezra 8:21). King David said, "I humble myself through fasting." • Fasting enables the Holy Spirit to reveal your true spiritual condition, resulting in brokenness, repentance, and a transformed life. • The Holy Spirit will quicken the Word of God in your heart and His truth will become more meaningful to you! • Fasting can transform your prayer life into a richer and more personal experience. • Fasting can result in a dynamic personal revival in your own life-and make you a channel of revival to others. Let me encourage you to take seriously this season of fasting and abstaining. (I will pray for you during this season if you ask me. And I would ask for your prayers well.) In my experience, this can be one of the richest seasons of the year for Christians… God, help us!